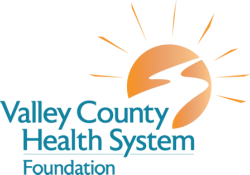 Generous gifts were made to Valley County Health System Foundation Fund; the Geweke Family Ord United Methodist Church Endowment and the Geweke Family Youth Endowment within the Valley County Community Foundation Fund. Additional gifts were given to the Ord Volunteer Fire Department and the United Methodist Church in Gold Canyon, Arizona. The Geweke family has lived, worked and contributed to the well-being of Valley County for six generations. Both Lloyd’s and Naomi’s ancestors came from Germany and homesteaded in Nebraska. Naomi’s family settled near Murdock and Lloyd’s people came to Valley County. “My grandmother walked almost all the way to Ord from St. Paul. She followed the valley until a fellow in a wagon came to help,” Lloyd said. Over the years, the Gewekes were able to acquire additional farmland. Lloyd had one sister, Darlene. When it came time for their generation to take over the land, Lloyd and Naomi chose the dry land over the irrigated land. They liked the pastures and raising cattle. They had a passion for breeding and showing world class quarter horses that won top awards in shows throughout the country. Their great-granddaughter, Kara, admits that she’s always glad she’s a Geweke when she travels to horse shows because people associate the name with quality. Naomi and Lloyd were most proud of their children, grandchildren and great-grandchildren. All 17 great-grandkids lived in Ord until recently. And most of them visited daily during the school year because they preferred Naomi’s great cooking over school lunches. Thanks to gifts from the Gewekes and others of their generation, Valley County will continue to be a hub of activity and optimism. A place where people will want to live, work and raise their families. When asked what motivated their generous gifts to their community, Naomi and Lloyd replied with a modest understatement. “All of the people in this community have been so helpful throughout our lives,” Naomi said. Although Lloyd and Naomi are no longer with us, their generous spirit will live on through gifts to their community for generations.